Presidential candidate attacks own party leaders for not being willing to cause government shutdown to stop deal, Planned Parenthood. 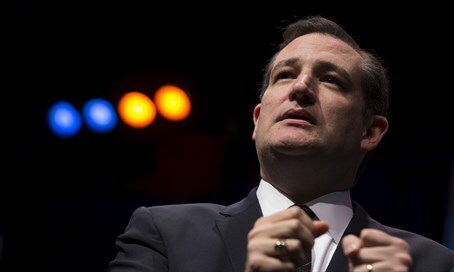 Republican presidential candidate Senator Ted Cruz (R-TX) on Thursday sharply criticized the leaders of his party, accusing them of surrendering to the Democrats on the Iran nuclear deal and Planned Parenthood. According to Cruz, Senate Majority Leader Mitch McConnell (R-KY) and House Speaker John Boehner (R-OH) have given up on the key issues by not being willing to shut the government down to block them, reports the Washington Free Beacon. While accusing Republican leaders of "preemptory surrender," Cruz is aiming to pass a resolution to stop funding for the "catastrophic" nuclear deal and defund Planned Parenthood, an organization providing abortions that has been rocked with scandal after shocking videos indicated the group sold aborted fetuses for cash. Cruz's move is set to force US President Barack Obama to veto the funding of the government and cause a shutdown - Republican leaders have given signs that they are leery to bring about such a situation, promising to try and avoid a shutdown. “When you have a radical in the White House who will exploit that promise, what it means in effect is that Republican leadership will support every failed big government policy of President Obama,” Cruz said. This is not the first time Republicans have "backed down" according to Cruz, who noted on the failed efforts to stop the controversial Obamacare as well as Obama's actions on immigration. He singled out McConnel and Boehner for not responding to his plan to fight the Iran nuclear deal, despite his sending the proposal in a letter to them earlier in the month. “I would readily sing the praises of Republican leadership if they just stood up and led. And yet it appears they have no interest in doing so,” Cruz said, adding that Republican leaders have achieved a "perfect losing record" by forfeiting the game before it starts. “Republican leadership says this nuclear deal is the single greatest threat to the national security of America, that the Ayatollah Khamenei with a nuclear weapon poses an unacceptable risk of millions of Americans, millions of Israelis, millions of Europeans being murdered,” Cruz said.